Here is a water stained matted photograph of a professionally dressed, distinguished looking gentleman. My guess is that it is taken around 1900, give or take a decade. I was first drawn to the man's outfit. Not having any experience in this area, it looked possibly like a religious or clerical suit. It didn't strike me as Roman Catholic, but I thought maybe it was some other denomination. 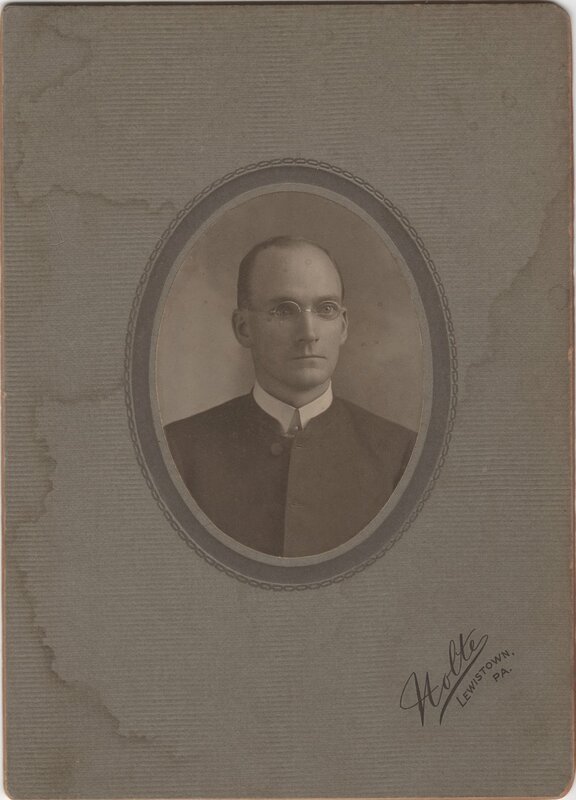 As formal as the portrait is, however, one would have expected other religious accessories in the photo (e.g., a cross, rosary, or bible) if it were indeed a type of vestment. A brief consultation with an expert suggested that this was most likely a professional man, with some means (perhaps a doctor, lawyer, or even a professor). There were no markings on the back. The only marking on the front, as you can see, is "Nolte" located in Lewistown, Pennsylvania. I found a few mentions of a photographer, John C. Nolte, near Lewistown in the 1910s. I know nothing else about this photography that I picked up at a locale antique store. What can you tell me? All of the above have some great photo galleries of men's fashion in history. But, none of them showed a man dressed like the one post here. 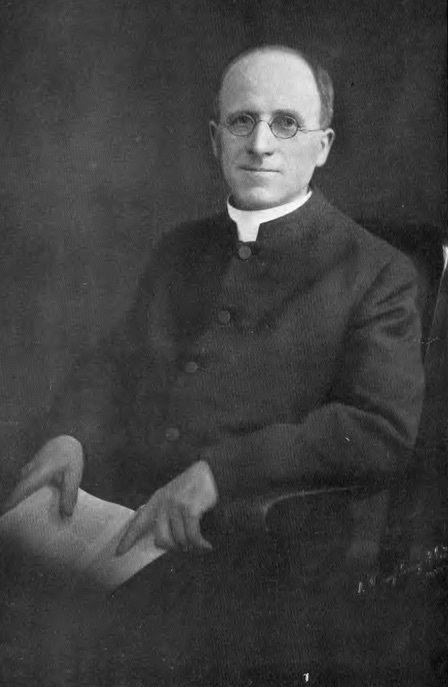 I found this photo of Albert Power (1870-1948), an Australian Jesuit Roman Catholic priest. The coat seems similar but the collar seems different. Have you seen any other photos of men wearing similar clothing? What can you tell me about the man's glasses?